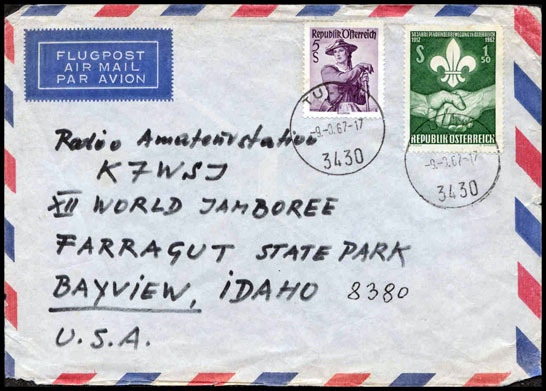 These are covers sent to Camps and Jamborees and are part of their thorough postal study. This cancel date is probably in error as it reads -9.-3.67-17. which would be March 9. The Jamboree ran from Aug 1 through Aug 9. There are no postal markings on the back.